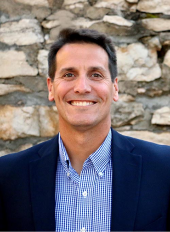 An honors graduate of Culver Stockton and the School of Law at the University of Missouri, Joe left a large firm in 2003 to start Seyferth Knittig LLC (now Seyferth Blumenthal & Harris), a Kansas City-based national employment law boutique. In 2005, he fell into the world of orphaned and abandoned children in Haiti. 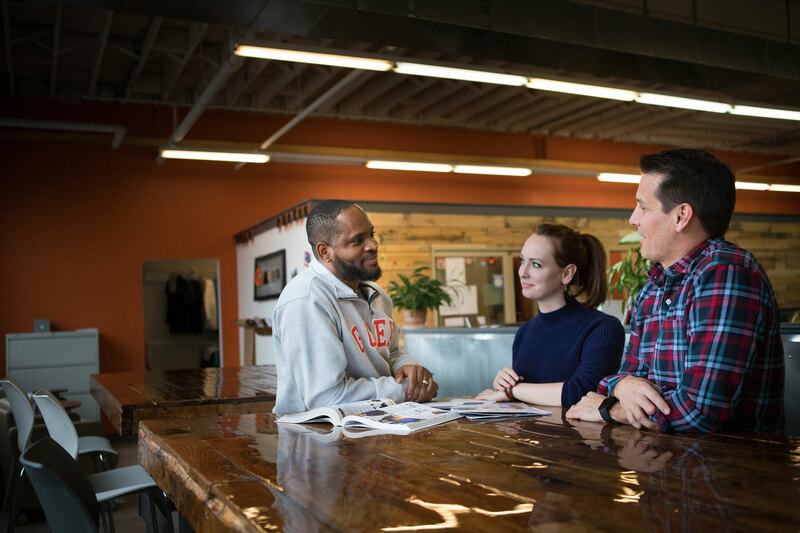 With a once-in-a-lifetime opportunity to apply business and advocacy to a new kind of client, Joe left the law practice he loved in 2008 to make an all-in go of an orphan care revolution with The Global Orphan Project and GOEX. A distinguished graduate of United States Air Force Academy, Trace also holds an MBA from the Katz Graduate School at the University of Pittsburgh and is a CFA Charterholder. After serving as an Air Force officer, Trace transitioned to operational roles in financial services and a Christian broadcasting firm before a 2006 mission trip pierced his heart for orphaned and abandoned children. Today, Trace’s passion is to help the team apply best practices to help care for local children and families in crisis from Kansas City to Kampala. During an advertising and marketing career spanning 35 years, Jon has seemingly done it all. The last 22 years were spent at Garmin, serving as Vice President of Communications, where the in-house ad agency he created helped turn the company into a global brand. Jon’s introduction to the orphan’s world occurred on the 1-year anniversary of the earthquake in Haiti when he led a video team to Port-au-Prince to document the resilience of the people and the commitment of The Global Orphan Project team. It was only a matter of time before that seed grew into a need to move from corporate success to orphan care significance. 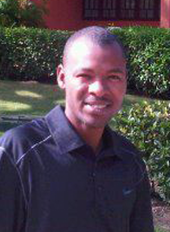 Adrien spent the first 10 years of his professional career as a business development professional. He led organizations in sectors from healthcare, technology and education. In 2007, God turned Adrien’s life right side up on a mission trip to Haiti. In 2010, God led Adrien to leave his company and apply his business skills to advocate for the orphan, which ultimately led to him become a foster parent and develop CarePortal, a technology platform facilitating the cooperation of local churches and agencies for local children and families in crisis. 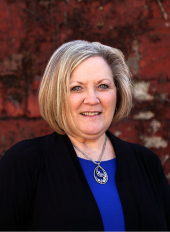 A graduate of William Jewell College with a dual degree in Business Administration and Accounting, Debbie applied her skills at a leading Kansas City investment management firm for the first 28 years of her career. 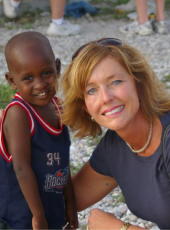 After the Haitian earthquake in 2010, Debbie began investing in the lives of orphaned and abandoned children through her service at The Global Orphan Project. In 2012, Debbie took over as Controller, assuming responsibility for all financial operations as the senior member of our finance team and the foundation of our team’s commitment to financial transparency and accountability. Jessica spent a significant part of her childhood on the production floor of her family’s toy manufacturing plant. That auspicious business beginning led her to a career in high end retail, first at Neiman Marcus and later at Halls (Hallmark) in Kansas City. Jessica brings over 15 years of proven experience in sales, merchandising, supply chain, planning/inventory management, and manufacturing. Those skills provide the insight and oversight necessary to ensure success in our apparel manufacturing operations which, in turn, is the catalyst for changing lives in Haiti through the dignity of work. 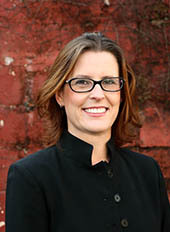 After earning a Doctor of Ministry from Gordon-Conwell Theological Seminary, and after several years as Co-Rector of Christ Church, Overland Park, Kansas, Alison went to Africa to serve as the Archbishop’s Assistant for International Relations in the Church of Uganda. 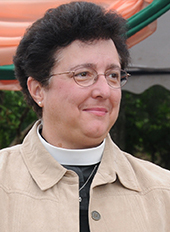 Alison’s relationships within the Church of Uganda help launch GO Africa, where she now also serves as Executive Director. Under Alison’s leadership, GO Africa helps local church partners in South Sudan, Ethiopia, the Congo, and Uganda strengthen their ministries to local children and families in crisis in their own communities. With a background in accounting and finance, as well as direct ministry experience with YWAM and the local church, Mary brings a business mind and ministry heart to her work for GO India. 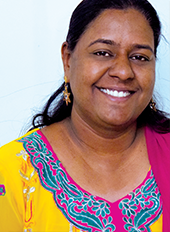 Mary, and her husband, Paul, helped found GO India through a flagship relationship with Bethel Gospel Church in Hyderabad, where her father has served as Senior Pastor since 1985. God has used Mary to help local church ministries to orphaned and vulnerable children in Hyderabad, Sarampet, NTR Nagar, and other parts of India. Lucson grew up in a rural community on the central plains of Haiti. Family illness and hardship required him to work on a farm before the age of six. In Lucson’s teenage years, a pastor at a local church began to invest in him, encouraging him to dream big and apply for Georgetown University’s CASS program, an elite exchange opportunity where only the top 5% are selected to study in the U.S. Lucson was chosen and studied in California’s central valley, developing language, agriculture, and cross-cultural skills that he now uses as the President of GO Haiti. Mohammad grew up a Muslim child on the streets of Beirut. A faithful Sunday school teacher’s invitation led to Mohammad spending time in church, and ultimately to a dramatic conversion to Jesus as a teenager. Later, God opened doors for Mohammad to study at Bob Jones’ University in the States which predated a business career back in Lebanon. 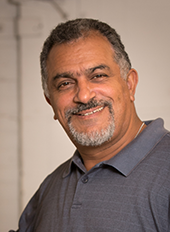 In 2006, Mohammad received a call to full-time ministry, planting Church of Tyre. Today, Pastor Yamout oversees a growing network of ministries across the Middle East, as well as serving as the Executive Director of GO MENA (Middle East North Africa). 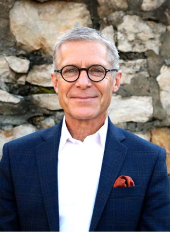 After growing up in northwest Missouri, Mike spent the better part of 25 years in various business ventures, mostly in the propane gas industry, including co-founding Kansas City-based Inergy L.P. (now Crestwood Holdings). In 2003, Mike and his wife began helping a handful of orphaned and abandoned children living in refugee camps on the Thailand border. One small group of orphan children led to another, then another. Resolving to make a difference in the lives of children around the world, Mike traded his business suits for a backpack, a mosquito net, and a passport when he founded The Global Orphan Project. Beth left a successful career in pharmaceutical sales to help Mike launch his company and care for their family of five children. For the last 15 years, the two of them have been on a life-giving adventure helping local churches care for thousands of children around the world through The Global Orphan Project and creating hundreds of living wage jobs so other parents can provide for their own through GOEX. Lovingly known as ‘Mama Fox’, Beth’s gifts of hospitality, discernment, and encouragement are a strong tailwind and moral compass for this ministry. 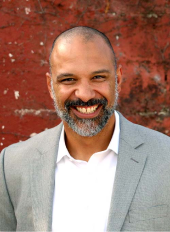 Ed is the managing principal at CRE Capital Partners, a real estate and investment group based out of Atlanta. Ed’s experience and relationships have made him an invaluable part of GO Project’s relief and response efforts. Ed, and his wife, Lu, live in Atlanta and have one son, Cole. Bishop Blake is the pastor of Greater Faith Community Church and co-founder of Harvest Family Life ministries. He also chaired The Advisory Committee on Promoting Adoption of Minority Children (ACPAMC), a church/state partnership in Texas committed to children in need. His experience and expertise, especially with under-resourced communities, has been formative for GO Project. Bishop and his wife, Mary, live in Brownwood, TX, and have raised six biological and six engrafted children God brought into their lives over the years. Alan is the Chief Operating Officer of Sporting Kansas City, the city’s major league soccer team. 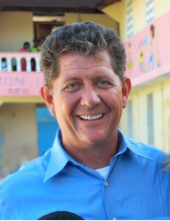 Prior to that role, Alan helped launch GO Project’s current ministry structure in Haiti, traveling there often in the past, at times with his three adult children. Bruce is a co-founder of Mariner Wealth Advisors. He and his wife, Carolyn, live in Leawood, KS, where they’ve raised their three adult children. The Kusmins have been wonderful advocates for the orphan and are regular trip leaders, helping many in their circle experience God’s heart for His children around the world. 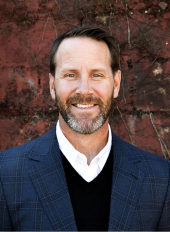 John is co-founder of the Larimer-Shannon Group, a firm providing complete exterior solutions for commercial buildings with offices in Atlanta and Nashville. John is also very involved in GOEX, the marketplace initiative of The Global Orphan Project. John lives in Atlanta with his wife, Kate, and their daughter, Quinn. Chris is the CEO at Jamaica Broilers Group, Ltd., a vertically-integrated agribusiness with operations in Jamaica, Haiti, and the United States. Chris and his wife, Sally, have a heart for evangelism, live in their native Jamaica, and have four children. Jeff serves as the Chief Information Officer at Murphy-Hoffman Company, a full service trucking dealership network with more than 100 locations across 16 states. He and his wife, Michelle, are raising their five children in Parkville, MO. Jeff has been a GO Project Men’s Retreat speaker, while Michelle regularly helps with The BIG Event and other outreaches.